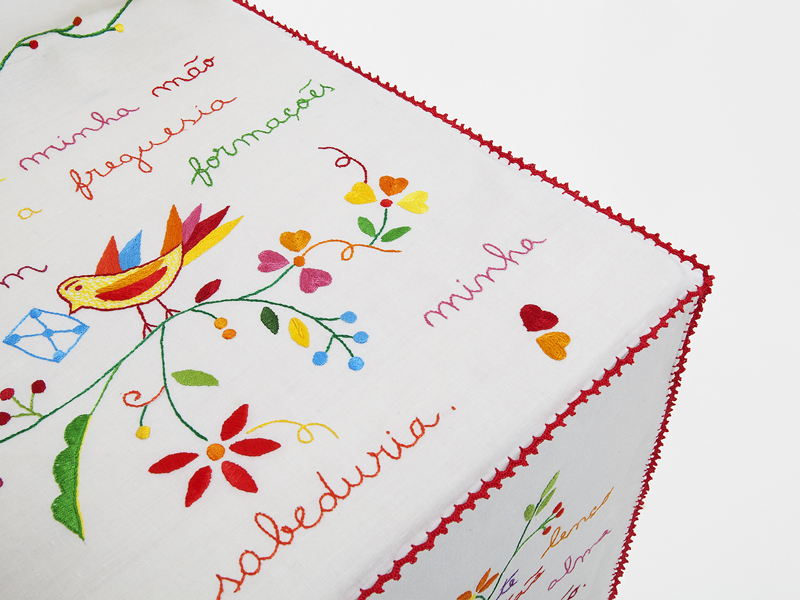 'Cadeira dos Namorados' is the latest version of the 'Unzip' chair covers project. 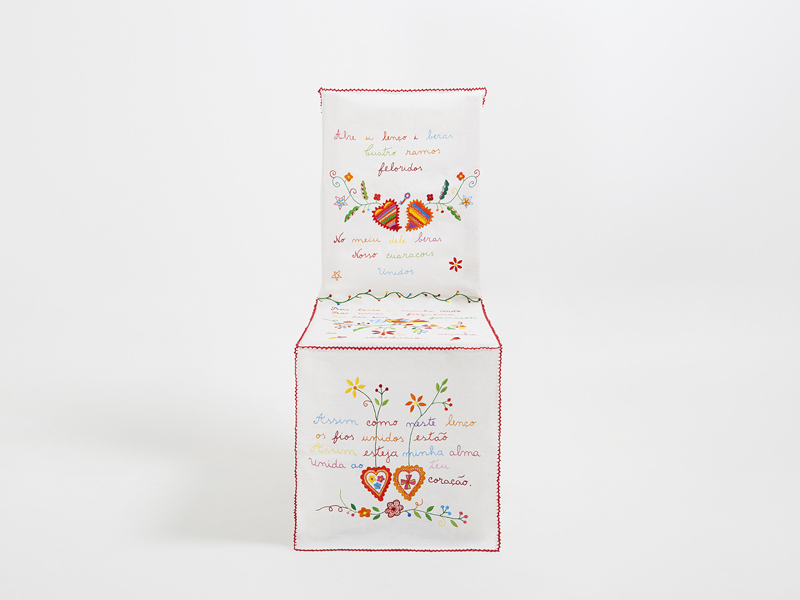 Being the theme of this exhibition 'Never for money, Always for love' and the relationship between Portugal and Luxembourg design I decided to work with an artifact that talks about Love and Parting. 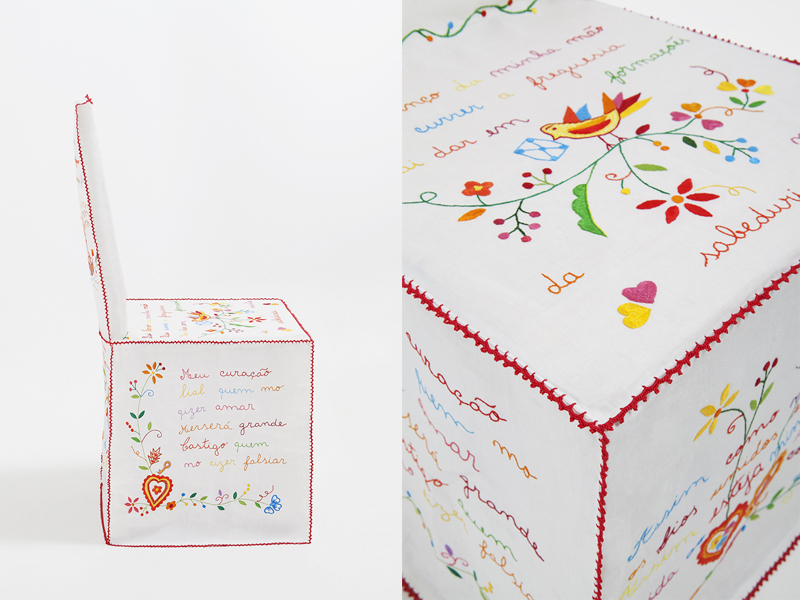 For this special piece I drew inspiration from 'Lenço dos namorados', a embroidery linen type of bandana traditional from Vila Verde, a village located in the North of Portugal. Back in the days the young ladies of this region used to embroider love poems to their beloved ones in departure, in order to win their love. In this way, if the feeling was mutual, the man should use it in public to show the beginning of their relationship. If the man decided not to wear it, it meant that there was no emotional bonding between them. This piece aims to pay tribute to this ancient technique and its romantic meaning and, in a way, represent the immense Portuguese emigration tradition to Luxembourg in the 60’s. 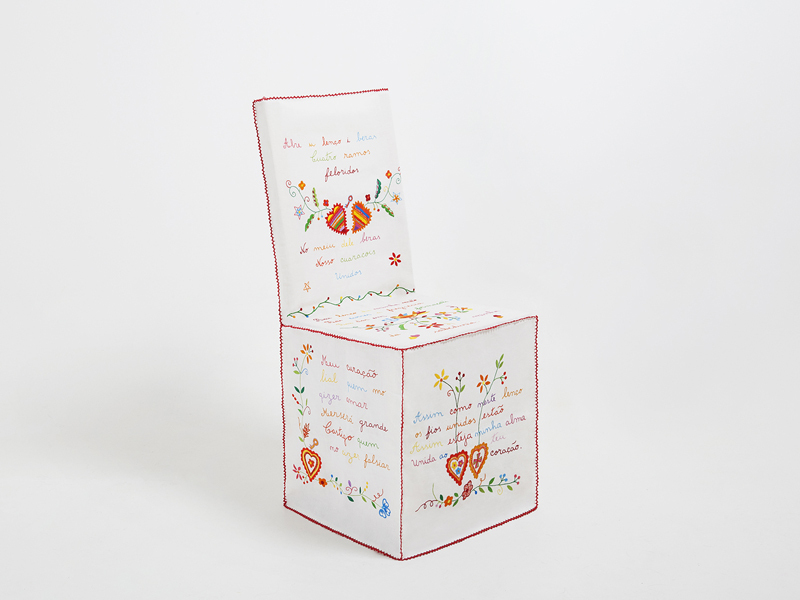 The piece is composed of 7 traditional poems, one for each chair face and was produced in the Aliança Artesanal of Vila Verde by passionate craftswomen, with MUDAM Luxembourg support. Special thank to Bruno Carvalho the exhibition curator.